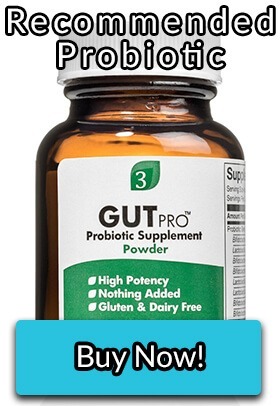 Yogurt is a “go to” probiotic for many people. A lot of doctors and pharmacists will advise their patients to eat yogurt when taking an antibiotic. They like it too because it is low in fat and is in a good position on the FDA food pyramid. In this article, we are going to look at yogurt and its affect on the gut from many angles so that you can make a better decision whether to use it to improve your health. What probiotic strains are in yogurt? There are two types of bacteria that are commonly used to culture milk into yogurt. 1 Streptococcus thermophilus is a gram positive bacterium that is non-spore forming. There are quite a few different genetic varieties of S. thermophilus, many of which are pathogenic and some are even antibiotic resistant. The strains used in yogurt are usually CNRZ1066 and LMG13811 that lack toxin producing enzymes. 2 There are some conditions where these inert strains can become pathogenic through horizontal gene transfer, or through specific epigenetic conditions. The likelihood of this occurrence is fairly low, and most people should be able to tolerate it pretty well. The second common probiotic strain used to culture yogurt is Lactobacillus delbrueckii (sub-species bulgaricus). This bacterium works synergistically with S. thermophilus as it uses their metabolites of folic acid and carbon dioxide stimulate each other’s growth. 3 Like S. thermophilus, L. delbrueckii has a series of genetic variants which contain pathogenic genes. ATCC BAA-365 is commonly used in the industry because it is found as normal intestinal flora in many animals. There are often uncontrolled strains that appear in yogurt. Companies do their best to avoid contamination, like boiling the milk and controlling the environment, but pathogens like MAP survive. Will the probiotics in yogurt survive the digestive process? This is a valid question. Since Streptococcus thermophilus and Lactobacillus delbrueckii are non-spore forming, and they are not really acidophiles (meaning that they thrive in acid,) there has been some scholarly debate as to whether these organisms can survive harsh environments like the stomach and make it into the large intestine. 4 They claim that the studies were too short, were not placebo-controlled, used pharmaceutical preparations instead of actual yogurt, and used inferior testing methods. While I could not find a perfect study, I did find one study that tested twenty patients over a ten day period. 5 The researchers used Danon, which is commonly carried by most stores, and were able to culture successfully live Streptococcus thermophilus and Lactobacillus delbrueckii strains from their participants. The researchers, however, did not get any baseline data (if they did they did not write about it,) so perhaps Streptococcus thermophilus and Lactobacillus delbrueckii were native flora and were already there. After looking through many studies, my opinion is that some will survive until they reach the large intestine even though there is no definitive proof. If they are natural flora, they had to have found their way to the large intestine somehow, right? What are the advantages to using yogurt as a probiotic? You can make it easily at home. There is some evidence that consuming dairy may lower blood pressure,8 but the mechanism is not clearly defined. What are the disadvantages to using yogurt as a probiotic? Contamination is impossible to prevent. You may be consuming unwelcome strains in your yogurt that may cause or worsen your digestive issues. Almost half of the macro-nutrients from yogurt are from lactose. This can lead to GI problems like SIBO. If Streptococcus thermophilus and Lactobacillus delbrueckii are natural flora, it would be redundant to add more. From my observations, and study of the peer-reviewed literature, I have concluded that yogurt as a probiotic is probably not the best choice for most people. The risks outweigh the rewards, and the value of yogurt’s probiotic strains are inferior to that of many over-the-counter products. 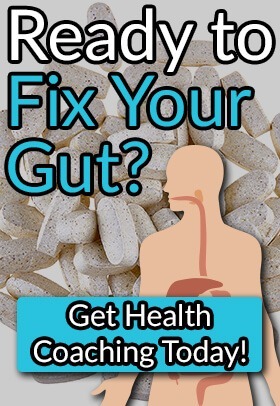 At Fix Your Gut, we encourage people to alter their diet, and lifestyle choices to alter their microbiome before they try a probiotic. 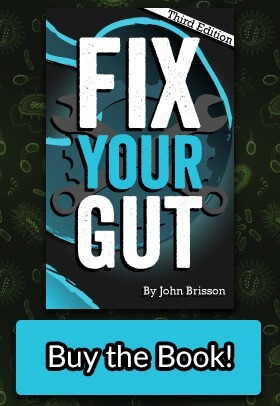 To read more about probiotics, check out the Fix Your Gut Forums. There are a lot of smart people who take and review all sorts of products. With the full fat variety, roughly an eighth of the macronutrient content will come from fat (by mass). If your yogurt is from grass-fed cows, the fatty acid profile will be mostly oleic acid (~30%) and palmitic acid (~20%) which are good fats. Butyric acid, more commonly found in butter, is more gut friendly. Full-fat yogurt is hard to find in the United States, and by the looks of your spelling, you are from elsewhere. You are probably blessed with superior dairy products may have access to yogurt made from goat’s milk. A2 casein is slowly digested and it can have a negative impact on the microbiome. You still need to watch out for wild yeasts, and pathogenic bacteria that find their way into the culture. From a dietary standpoint, full-fat, raw, A2, grass-fed yogurt is good if you can handle the lactose. This article was more of a review of yogurt for therapeutic use as a probiotic. If you can get the full-fat, raw, A2, grass-fed… it is definitely superior to the low-fat, American, store bought stuff, but for many people, the biological implications will make them foggy and inflamed.